All glory to God, Who is able to answer all prayer, prayed in the right manner and context. I simple prayer should be, “Father, Your grace has been sufficient and all I do is for your Glory.” No matter the situation, God will always reveal Himself in a way that causes you to worship and give Him glory. The enemy did not want God to get the glory, so he attacked what you stood for in order to stop you and the Kingdom. As it relates to your life, God will always call you what you are supposed to be, which is far beyond what you see right now. “Now to Him who is able to keep you without stumbling or slipping or falling, and to present [you] unblemished (blameless and faultless) before the presence of His glory in triumphant joy and exultation [with unspeakable, ecstatic delight]” (Jude 1:24-AMP). Only what you do for Christ will last or stand. When you do what you do for God’s glory, it will all work out. How does God define you? Ask God, “Daddy, what is needed from me to do for You and Your Glory?” There is always something to do, but there remains the best portion of what we do. Everything that we do must be done with the mindset that it is for the glory of God. Everything that we do must be done with the mindset that it is for the glory of God. “Therefore we do not lose heart. Even though our outward man is perishing, yet the inward man is being renewed day by day. 17 For our light affliction, which is but for a moment, is working for us a far more exceeding and eternal weight of glory, 18 while we do not look at the things, which are seen, but at the things which are not seen. For the things, which are seen are temporary, but the things which are not seen are eternal” (2 Corinthians 4:16-18). You will be stretched beyond measure in order to live The Total Picture and Unleash the Secret Design for your life. The finished work has to reflect God and His Glory. For far too long, you have settled for just the anointing, which is individualistic and only deals with and rests only upon you. If you are to grasp the depth of the Total Picture that God has for you, then it cannot be only about you. You have to seek the Glory because the Glory is the ultimate level; it is the Total Picture of life. The Glory is the covering. In the beginning, Adam and Eve were naked and unashamed; it was only after the fall that the glory no longer covered their nakedness. After the Fall, natural things (leaves), which are outside sources, had to be used to cover their shame, guilt, and their sin. The Glory (God’s presence) would come to meet with them daily, but after the Fall, we have to seek and ask for the glory. The Glory is the Total Picture because it was the covering in the beginning, and it was the first thing stripped after the Fall of man. I tell you today to recover what has been stripped off you. The Total Picture is the Recovery of the Glory! You could ask for many things, but what you need is the Glory. The finished work was the backside of God’s Glory in the Exodus passage. The anointing is about you, but the Glory is what rests on the house (the multitudes, those that are behind you), the totality of your life. Interestingly enough, the Glory has nothing to do with you, but it is all about God. This is why most of us do not seek it because we are not in the picture and it is not all about us. It takes the focus off you and it all goes back to God. The Glory does what you cannot; it is not dependent upon your actions. There is no glory for soldiers until a battle is won. Life is not always easy, but it is worth the fight. We know that whatever happens in life is destined to work for our good, even the heat of battle and the hurt of persecution. Until we accept that we go through life’s challenges and that bad things do happen to good people, we will never completely understand the concept of life. Hardships will cultivate you into the person you are meant to be, just as victories shape you into that person too. If you are to be all that God has called for you to be, you have to realize it is in the midst of hurt, pain, adversities, joy, peace, and victories that this will transpire. All of life’s circumstances are causing you to be the best you, even when you feel like you will not make it. How do you live the Total Picture in the midst of what seems to be taking life from you because it seems too much to bear? Learn how to suffer with some Grace. Grace is one of the biggest parts of the Total Picture. We are saved by grace and we are forgiven daily by God’s grace. Glory and suffering go hand-in-hand as it relates to the total picture. “And if children, then heirs—heirs of God and joint heirs with Christ, if indeed we suffer with Him, that we may also be glorified together…For I reckon that the sufferings of this present time are not worthy to be compared with the glory which shall be revealed in us” (Romans 8:17-18). Suffering has its part in the Glory Factor of the Total Picture. You realize suffering is a perfecting process. You realize suffering is working for your good, and you realize that pain and suffering is not always a bad thing. Pain in and of itself is not a bad thing. For instance, pain in the body alarms you that something is wrong. The enemy only comes after those that have great potential and those preparing for Destiny. If you are not under any type of attack, then you are not operating at your full potential. The enemy only attacks greatness, he only attacks determination, and he only attacks those who have a future, and those with great Destiny. You are suffering now, but you are getting ready to reign victorious! God is trying to get His glory out of you. What the enemy had for bad, the Lord is turning around for your good. You are going from Suffering to Success! What you are going through is working for your good. Tell the Trouble that is on you now, “Since you showed up, go to work for me.” Tell cancer, diabetes, high blood pressure, the marital issues, the hardship of finances, and everything else, to go to work for you. Your sufferings are going to bring forth blessings that you can’t even imagine. In the Total Picture, suffering is not just suffering because out of it, you will be established. The attack is against you, but it is about God. That is why the enemy (lucifer, the former chief musician and worshipper) is after your praise, because he is still trying to shut down the Kingdom of God, so that God cannot be praised for who He is. The enemy no longer has access to Heaven or to the Kingdom of God, so he goes through us to try to stop the glory of God from coming forth. Always remember, God is Glorious, He is to be Glorified, and He Lives in Glory! Sin Does Not Send You to Hell…The Lack of Repentance Does! The Bible is saying don’t pray yourself into a hard spot, your Father is loving and will not be a part of that. He wants only that which is beneficial for you and that might occur in testing and usually does, but not because you pray for it, it just comes as a part of life’s journey and it comes daily, but the Holy Spirit is always there to strengthen you, for He is the strengthener. Spiritual testing is always a growing experience and mature growth is a most desperate need in the body of Christ. So, “Where Does Temptation Come From?” Most would without hesitation say, the devil. Now as it relates to the devil, this is where sin comes from. Temptation is not sin unless you yield to it. The enemy can only tempt you with what you want and desire. So, the temptation of the desires and wants come from us. The temptation opportunities come from the devil in order that we may sin. “…But Deliver Us from the Evil One” The Bible never gives any doubt that there is a power of evil in this world. Some translations have had this to read, ‘deliver us from evil’ and that is not complete. It should always read, “deliver us from the evil one”. The Bible does not teach that evil is some sort of principle that is an abstract, but rather it is a very active personal power, an enemy, an adversary called the devil who opposes God and all He stands for. 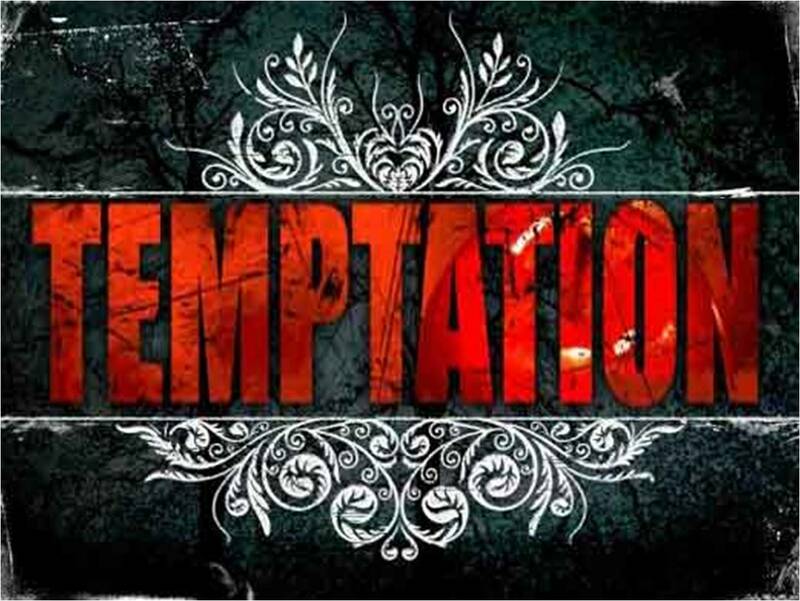 No temptation has overtaken you except such as is common to man; but God is faithful, who will not allow you to be tempted (tested) beyond what you are able, but with the temptation will also make the way of escape, that you may be able to bear it. And whenever you stand praying, if you have anything against anyone, forgive him and let it drop (leave it, let it go), in order that your Father Who is in heaven may also forgive you your [own] failings and shortcomings and let them drop” (Mark 11:25). Confess your trespassesto one another, and pray for one another, that you may be healed. The effective, fervent prayer of a righteous man avails much. Forgiveness is the first step of reconciliation in your life, your marriage, your church, your past, and in your family. Jesus died for us to have forgiveness, so that we would not have to live with or carry the guilt and shame of our past or of daily offense. If we look at the imperative tone of this scripture, then we can only conclude that forgiveness is not a choice, but a requirement of God! I find it ironic that the writer used the term the “Elect of God,” meaning those who are more than just ordinary people. I find it common in our Christian walk with God that we want the title, the blessings, and the anointing of the Elect, but we don’t want to do the things that are required of the Elect. The word elect means chosen deliberately, singled out; it is a person who is chosen or selected by divine will and appointed by God. If you are an elect person of God, then you should be a Forgiving Man (Woman) of God. The only way God can set you apart from others is if you are displaying the things of God in your life. If you can’t Forgive (one word) then God can’t FOR GIVE (two words) you the things that you have been praying for Him to do. By this I mean, if you can’t forgive (one word), which means to excuse a fault or an offense, pardon, stop blaming, or rationalize a mistake that someone has done to you, then you can’t expect or require God to do something that you are not willing to do yourself. When you don’t forgive (one word), God can’t FOR GIVE (two words). The word For means to be in favor of, to honor, to support, and to acknowledge. The word Give means to make, present or to place in the hands of. Therefore, God will not be able to be in favor of you or be able to honor you completely and present things to you that you have been praying for and place them in your hands if you can’t forgive others. I am not condoning what someone has done to you or against you, but I am saying that if you harbor unforgiveness in your heart, then you can’t receive the Blessings of God. You can’t help or change your past, but you can choose not to be bitter or have unforgiveness in your heart. Don’t leave a situation bitter, but leave Better! The first step in true forgiveness is to forgive yourself. The reason you can’t find freedom is because you are still blaming yourself for things that happened in your past. I know you were molested, raped, abused, mistreated, talked about, lied on, rejected, or maybe you simply never experienced true love in your life. Stop carrying around the guilt and shame, and stop blaming yourself. God has already forgiven you, so you can move on. What happened to you was An Assault that Brought You Under Arrest. The only way the assault can keep you in prison is when you don’t forgive. You have given yourself a life-sentence of unhappiness because you have not forgiven yourself, and furthermore, you have not forgiven the person that has hurt you. You don’t have to care, but you do have to love and do something about the conflict. Be willing to apologize when necessary, and ask for forgiveness when you know you are wrong. It is okay to have the gift of goodbye, but get closure in order for there to be proper healing after the separation. This is a decisive moment: you have harbored some unforgiveness towards God about why the assault happened to you. You also have unforgiveness of unanswered prayers. Today, go to God, tell Him the pain and receive the grace of His forgiveness. Your bitterness, resentment, and unforgiveness are hindering your worship and your happiness. If we choose to react in our flesh, rather than responding in our spirit, then we will find ourselves on the other side of a bitter argument that will bring about dissension. Humility and forgiveness are attributes that are the basis for being responsive and not reactive. You are a New Creature in Christ, so stop carrying around old things in your life. The past is the past and it doesn’t determine your future! So today, give the gift of forgiveness to someone that God has placed on your heart. This will forever change your life and your walk with God. Be Blessed, Forgiven, and Highly Favored of the Lord! One of the key virtues displayed in the righteous man’s life is walking in the attitude of forgiveness as His Father has forgiven him. (Deuteronomy 8:3, Matthew 4:4, & Luke 4:4). 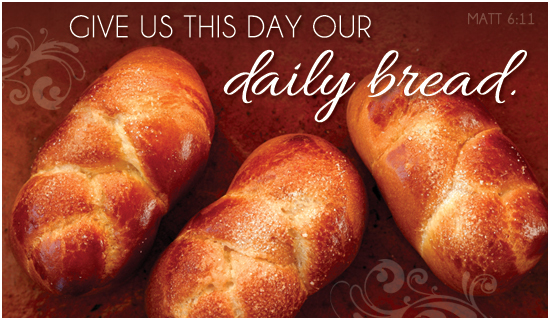 “Give us this Day Our Daily Bread”- Today is all you have! Let yesterday go and don’t worry about tomorrow, but focus on today. Today is a gift and you should treasure it. What will you do with this day (today)? In order to make this day a God Great Day, you must Pray! Every day must start with prayer so you can know how to order the day. Don’t just seek out bread (resources), but every day seek out the Word (the Bread of Life). 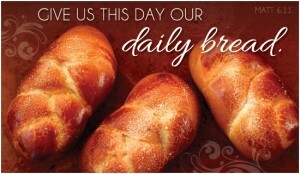 Daily bread is so you can survive for a day, the Bread of Life is so that you can live for eternity! To be only bread focused is to put too much emphasis on your flesh, but to be Word focused is to put authority into your spirit. Bread has to be bought and you have to pay a price and it becomes stale within days, but the Word of God is given so that things can be established and accomplished in your life eternally. Bread gives life; the Word (Bread of Life) gives it More Abundantly! There are many different brands of bread, but there is only One God who is Our Bread of Life! You have to ingest bread to get the value out of it, but God imparts His Bread of Life to put Value Inside of You! The greatest thing you can live off of in life is the Word of God. The Word of God both spoken & written can sustain life and be sustenance for life all at the same time. You have to live by every word that proceeds out of the mouth of God and from his Holy Word. The word is life giving and it gives you strength and power. Just like in the natural when someone eats bread for sustenance and strength, in the spirit we too must eat from the Word of God to have power, strength, and life. The greatest daily bread is the Word of God. If you will meet the need of feeding your soul and spirit with the Word daily, then you will have wisdom on how to gain the resources for your natural needs. Daily Word=Daily Bread! The greatest place that you can eat from every day is from the word of God! God is a provider of Daily Bread! Here you are addressing Jehovah Jireh, God our Provider, asking Him to provide your daily bread. Yesterday has passed and you have today to rejoice and be glad in and He will supply all your needs according to His riches in glory by Christ Jesus. He declared this in Philippians 4:19, and nothing escapes His sight and heart, for your ‘needs’ can cover much ground, and not just your financial needs. Jehovah Jireh literally means, God Who sees ahead. He knew your daily needs ahead of all time, since before time was, and He made advance provision for all of them. In prayer, you are traveling a course that will cause you to intersect His supply for you. Too many times, we put more emphasis on the substance of bread rather the sustenance of the Word (the Bread of Life) of God. God is faithful to the promises in His word. He is our provider and is to be trusted completely. 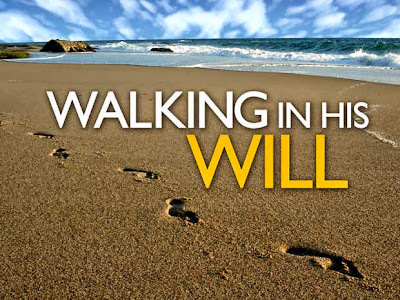 “Thy will be done … in the Earth as it is in Heaven.” Not my way and my will, but God’s will be done! The Will of God is the Supernatural expressing Himself in the natural. Remember, that His word is His will, so study to show yourself approved unto God. The Will of God is the Desired Way God Wants You to Live! Wants vs. Will: His Will Over My Wants. Our wants causes us to move out of our emotions, feelings, and ungodly desires. We must give up our wants for His will. The will of God is an acceptance of God! It is a dependency upon God and not upon ourselves. How Can We Experience the Will of God in a Weak State? Our wants make us weak, but God’s will makes us strong! The strength of the Almighty expressed through your weakness as was Paul’s, in 2 Corinthians 12 where God said that His sufficient grace, strength, and power are made perfect and show themselves most effective in our weakness. God’s sufficient grace, strength, and power enables us to live out the will of God even when we are weak. There is NO WILL Outside the WILL of God! The Lord is not slack concerning His promise, as some count slackness, but is longsuffering toward us,not willing that any should perish but that all should come to repentance. God does not want anyone to die unsaved and die without fulfilling his or her calling in the earth. True Repentance Leads to the Will of God for Your Life! The Ultimate will of God is for everyone to be saved, to come and know His Son, to accept Him and live a life according to the Word. If you are not a believer then you can’t live out the Will of God because you have to accept God to live the will of God. What is the Daily Will of God? The W.I.L.L. Of God is Wisdom, Insight, Love, & Life! God desires for you to live in Wisdom, have Insight, possess Love, & have Life more abundantly; this is His will concerning you! The W.I.L.L. (Wisdom, Insight, Love, & Life) of God can be accomplished Daily by rejoicing always, praying without ceasing, and in everything giving thanks. It is just that simple to live in the W.I.L.L. (Wisdom, Insight, Love, & Life) of God! Can You Be Obedient and Rejoice, Pray, & Give Thanks? Then, you can Live in the W.I.L.L. (Wisdom, Insight, Love, & Life) of God! 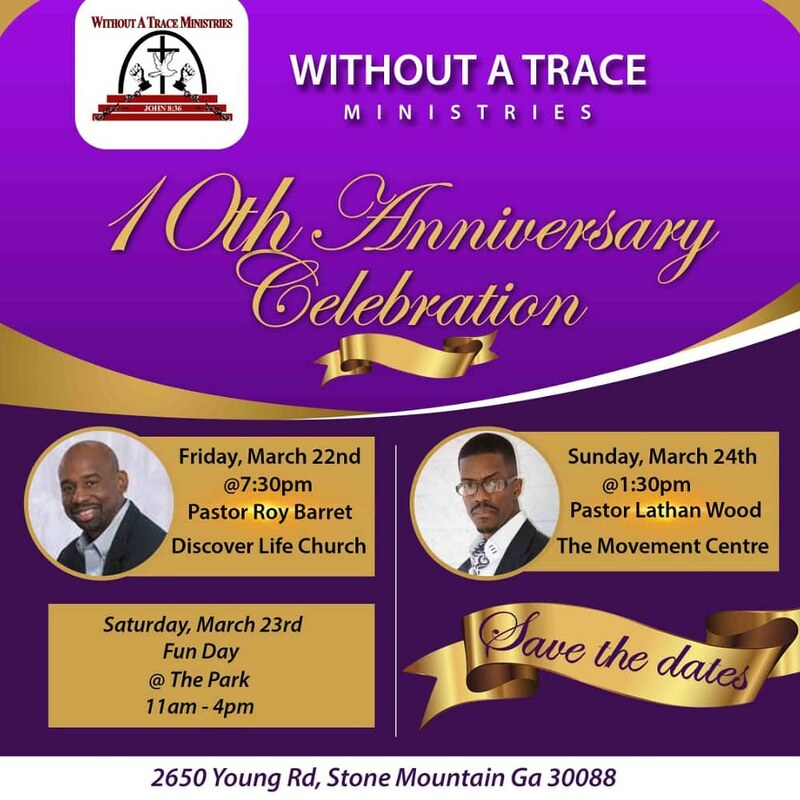 You Can Accomplish the Will for Your Life through Obedience to God by Rejoicing, Praying, & Giving Thanks and in return You will have the W.I.L.L. (Wisdom, Insight, Love, & Life) of God! 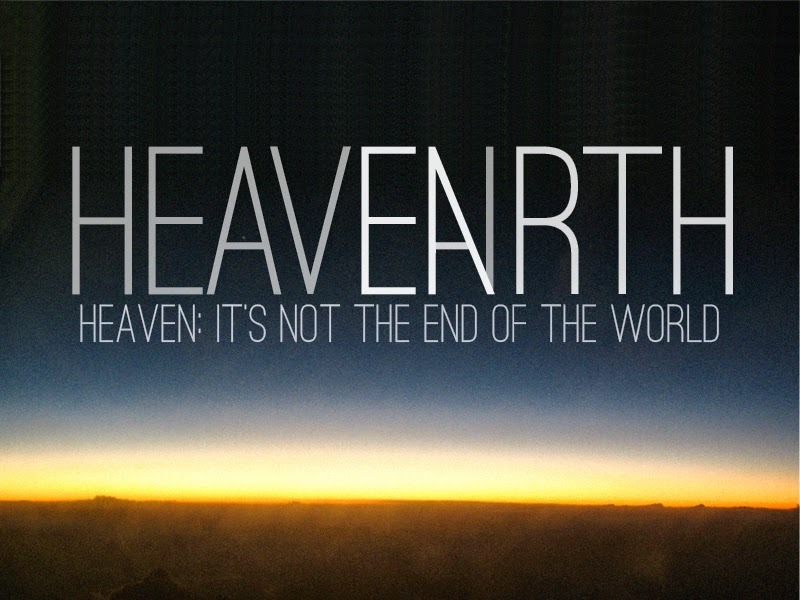 Heaven is Not the End of Life on Earth, but the Beginning to Our Eternal Life! “As it is in Heaven” How is it in heaven? It’s liberty in Christ Jesus, free of illness and affliction, free of lack and poverty, and free of all oppression. 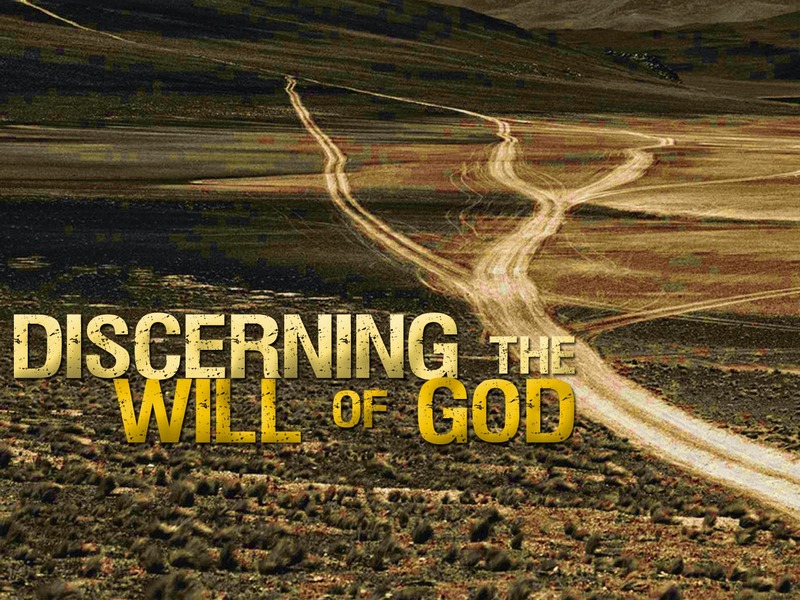 God’s will is for the attributes of Heaven to come into the earth realm in to the lives of His children. He wants us to live like He lives and God lives Well! How is Life in Heaven? Life is good, peaceful, prosperous, loving, kind, and full of worship for eternity. How is Life on Earth? Life is hard, there are wars, diseases, evil/wicked people, and the earth is full of falsehood. I Choose Heaven’s Rule & Reign! He Lives in Wealth, Eternity, Love, & Liberty! God first and foremost wants us to live in the wealth of our spirits, and out of a wealthy spirit, our natural needs are met in abundance. He wants us to live with eternity in mind. Living life in view of eternity is the Total Picture. Everything that you see now is not all that is in store. Greatness, which is God’s glory, will come forth beyond the borders of this world and this life. It is not until you have the right perspective of eternity that you will live your life to the fullest. Everything started in eternity, so why not live for it now? It is not how you begin, but where you end up that matters. In this race of life, we all have started in different places, but the most significant part of life is how we end. King Solomon said it best: “Better is the end of the thing than the beginning of it” (Ecclesiastes 7:8). This is why we always say, “The best is yet to come.” Truly, it is because you are living life through the view of eternity. That is the greatest gift God has given man, life forever, everlasting life with Him. The Will of God directs you to where you are going. The Will of God shifts and transitions you from this earth to your heavenly reward in eternity. The Will of God is so grand and so vast that it cannot be contained just on this earth, or in this lifetime. It transcends time. It is eternal. When your time here (on earth) is done, you can spend it in eternity in the Kingdom of God. WOW! With knowing all of this, how is it that we are still depressed, sad, and confused about life? You will not be depressed, sad, and confused about life if you will choose to live in Love and Liberty! Choose to be free from sin, shame, hurt, guilt, doubt, bitterness, unforgiveness, brokenness, and your past. Choose the gift of Love today! Love yourself and Love your God! Make your love choices eternal and not just temporary! Don’t choose to live the earth way the unwell way always feeling depressed, sad, and confused, but rather choose to live the Heaven Way and Live Well… Live in Wealth, Eternity, Love, & Liberty! “Thy Kingdom come…” You have entered through your born again experience into the kingdom of God. 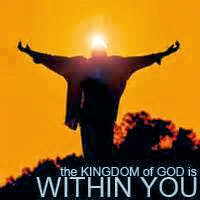 The Kingdom is Within You! The Kingdom is not coming it is Already Here! It is the dimension that embodies the way God does things. You are to call into this earth realm by prayer to God, His kingdom answers to every need. Jesus said that it should be in the earth the same as it is in heaven. What you are in reality asking is that the Father not only send the kingdom of God to the earth, but send the revelation into our hearts as well, so that we can alter our lives. The desire of the Christian is to live in the perfect will of God. The kingdom of God is the most important concept in the model prayer. 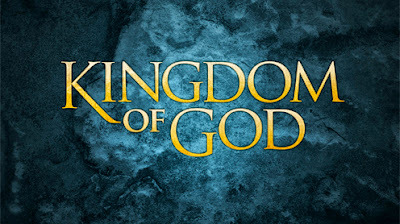 The Kingdom: The kingdom is the rule, authority, dominion, & reign of God in the universe and is a present reality in the believer’s heart, but it is the future kingdom that is in mind in this passage. The kingdom of God, which is unseen, is the rule of God in the hearts of believers in the present age. The visible and glorious kingdom which every person will see is at the Second Coming of Christ. “Thy Kingdom come…” The petition is for God to exercise His kingship until the world is filled with His glory. God will establish His sovereignty on the earth. The kingdom will come in full realization by means of its own inherent power. God will perfectly accomplish His will on this earth as it is in heaven. The Kingdom is Joining God (the King) on His Mission and Vision! Prayer teaches us about God and who He is. It shows us how we are to respect Him and honor Him in our lives. Model is defined as a standard or example for imitation or comparison. It is a representation. A model is something that gives shape or form to something else. The prayer in Matthew 6 is our Model Prayer Format. I want to spend the next few days expounding on each principle of this great Model Prayer. “But, when thou prayest, enter into thy closet, and when thou hast shut thy door, pray to thy Father which is in secret; and thy Father which seeth in secret shall reward thee openly. 7But when ye pray, use not vain repetitions, as the heathen do: for they think that they shall be heard for their much speaking. 8 Be not ye therefore like unto them: for your Father knoweth what things ye have need of, before ye ask him. 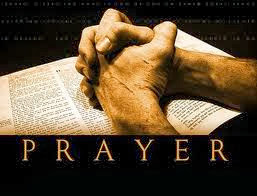 9 After this manner therefore pray ye: Our Father which art in heaven, Hallowed be thy name. 10 Thy kingdom come, Thy will be done in earth, as it is in heaven. 11 Give us this day our daily bread. 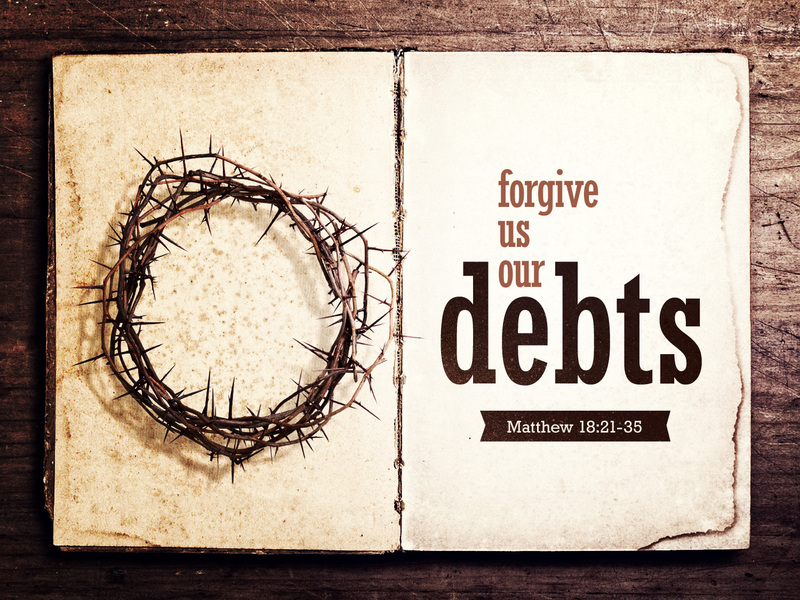 12 And forgive us our debts, as we forgive our debtors. 13 And lead us not into temptation, but deliver us from evil: For thine is the kingdom, and the power, and the glory, forever. Amen. 14For if ye forgive men their trespasses, your heavenly Father will also forgive you: 15 But if ye forgive not men their trespasses, neither will your Father forgive your trespasses”(Matthew 6:6-15 & Luke 11:1-4). The first word “Our” reveals a new dimension in our lives. We are no longer a solo act, doing our own thing, but we are now in a community, a fellowship that includes many brothers and sisters in the Lord. We may not always be in their company, but we are always members of the same body and as such, no longer alone. We are addressing the Father of us all. “Our” also speaks to possession and ownership. We are to own and possess the power of prayer. It is our privilege and right to pray to our God, who is our Father. Now we progress to the second word, “Father,” which tells us that we are part of a very large family that is seeking to communicate with the One God and Father who is reaching out to us. The word Father indicates that we are in fact His children and that He is the One you are opening your heart to, the One who has tender ears to hear His children calling out to Him. When you can address God and know who He is, then He in turn will tell you who you are! Father is the greatest characteristic of God. How powerful is it that the King of Kings, the Lord of Lords, and the Creator of the Universe is our Parent, Our Father! All prayer is to be addressed to God. No one else is worthy of being able to hear and answer prayers. “Who Art in Heaven” This is a given knowledge of where your petition is being heard. Your prayers are not just hitting a ceiling then coming back down, but they are transcending the natural and earthen realm and they are entering into the Holy of Holies of God (Heaven). He who sits in the heavens (Psalm 2:4), is He Who resides in His kingdom and sits upon His throne. He is also the One who has sent His Son to redeem us and we are now not our own, but we are His property (1 Corinthians 6:19-20). He rules and reigns over the universe from His eternally divine position. “Hallowed be Thy Name”– now you are really at the part that could be labeled as Worship, which we all should move into as we go into prayer. WE ARE TO REVERE THE NAME OF GOD. Honor God! We are calling on the Almighty God and we are first acknowledging His holiness (‘hallowed’). What an awesome thought! The Power of the Name of God! When Moses met Him at the burning bush (the hallowed ground), he asked Him, “Who should I tell them is sending me?” God spoke and said that he should tell them that I AM is sending you. Paul wrote of Jesus in Philippians that God had highly exalted Him and had given Him a Name that is higher than any other, that at the Name of Jesus every knee must bow and every tongue confess that Jesus Christ is Lord to the glory of God. The Names of God: Jehovah Nissi – Strength – Jehovah Rohi – Shepherd – Jehovah Shalom – Peace – Jehovah Rapha – Healer – Jehovah Jireh – Provider – Jehovah Tsidkenu – Righteousness – Jehovah Makaddesh – Sanctification. How to Pray Effectively: First, we must understand that prayer is a form of reverencing God. Therefore, when we pray, we should give God some glory, honor, and praise before we ask for anything. You would not approach someone and just start asking them for things, without first acknowledging who they are. God is no different; He does not like us just addressing Him any kind of way. “Enter into His gates (outer part) with Thanksgiving and into His courts (inner part) with Praise!” (Psalm 100:4). During your time of intimacy and prayer, you want to go beyond the Gate and into the Court of God! The beginning of your prayer time is all about God and not about your needs. Understand that if you glorify the Giver for who He is, then the need that you have will already be met before you ask for it. This is where so many of us mess up in our prayer time. We do not first acknowledge God and spend quality time alone with Him. God is not a fast food drive-thru when it comes to prayer. After you have entered into His court with Praise, then it is time to Pray. Just before you pray, you should ask for forgiveness and repent for your wrong doings and sin. This part of prayer is a time of cleansing. You should not want to ask God for anything when you have mess in your heart, on your mind, and in your spirit. God not only will not hear me, but He will not listen (act on my behalf) if I have sin in my heart. 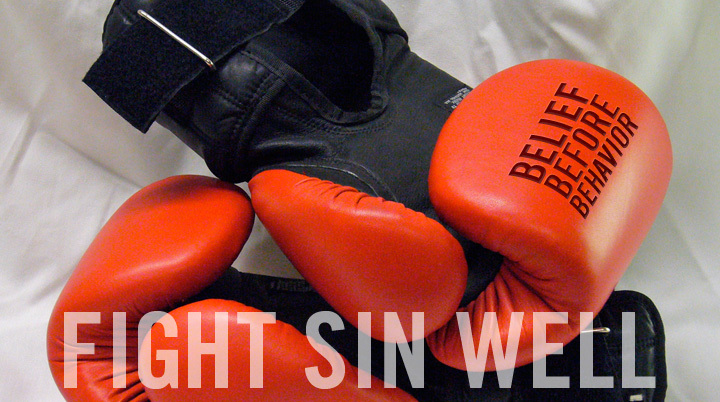 Sin in the heart deals with unforgiveness, hatred, malice, unrepentant sin, and any type of iniquity. At this point, you can make your requests known to God. You can begin to ask Him for whatever you need. Finally, the model prayer in Matthew 6:6-15 is the format for us to use when we pray. Read it and put your own personal prayer into it and you will be an intercessor that has effective, life changing, and Bible-based prayers. 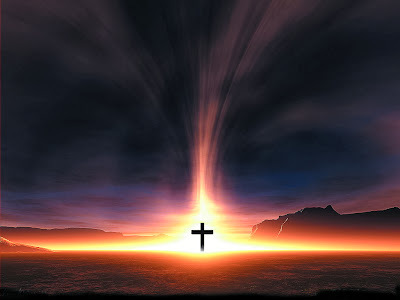 “Our Father in heaven, Hallowed be Your name 10Your kingdom come. Your will be done On earth as it is in heaven. 11Give us this day our daily bread. 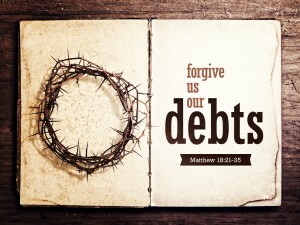 12And forgive us our debts, As we forgive our debtors. 13And do not lead us into temptation, But deliver us from the evil one. For Yours is the kingdom and the power and the glory forever. Amen.” 14For if you forgive men their trespasses, your heavenly Father will also forgive you. 15But if you do not forgive men their trespasses, neither will your Father forgive your trespasses (Matthew 6:6-15). With boldness, humility, joy, confidence and belief that He will deliver you! *Exercise: Get a pen and paper and write out everything that is going right in your life. This is a Thank You Lord list for everything you have, and for what God has already done. Father, I come to You in the Name of Jesus, my Lord and my Savior. I come to You with a heart of thanksgiving. I thank you for all the good things in my life, for You are the Creator of all things good. Father, I thank You for Your Presence. For in Your Presence is the fullness of my joy and in Your Presence I am complete and whole. In Your Presence, I have purpose. Because of Your Presence, I am glad to be here. Father, I thank You for Your plan, that I might have a full life and enjoy it and have it in abundance to overflowing. Father, I thank You for Your provision, that all my needs are met according to Your riches in glory and that I may prosper in all areas of my life as my soul prospers. Father, I thank You for Your protection, that Your perfect love cast out all fear and that no weapon formed against me shall prosper. Father, I thank You for Your peace, the peace that passes all understanding. The peace that keeps me calm and secure through adversity. The peace that leads me through all the storms that come into my life. Father, thank You for my life and Your Presence in it. In Jesus Name. Amen. You Let Go & Allow God to Lead You. You not only give God full autonomy & permission to have His Way & Will in Your Life, but God in return gives you Kingdom access that you would not normally have without prayer. Access? 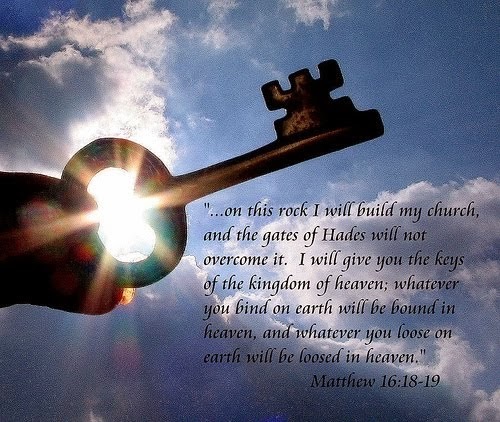 Yes, Keys to the Kingdom! Prayer not only lifts up the natural things of life before God, but Prayer is the access by which the supernatural power of God & the Heavenly Rule of God invades your life here on earth. Just like in the natural, a key lets you into a place; prayer is that key that lets you in on some things and into new places and territories. in order to transform it! 1. 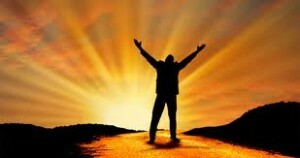 Prayer allows you the opportunity to praise and Magnify God (Matt. 6:9). 2. Prayer allows you the opportunity to repent and ask for forgiveness for sin (1 John1:9). 3. Prayer allows you the opportunity to receive Daily Bread (Substance) from God (Philippians 4:19). 4. Prayer aids in spreading the Gospel of Jesus Christ (Matt 28:18-20, Acts 1:8). 5. Prayer can help you in times of temptation (Matt. 26:41, James 4:7, 8). 6. Prayer can help you in times of trouble (Psalm 46:1). 7. Prayer can help you grow spiritually (Jude 1:20-21). 8. Prayer can strengthen the soul (Psalm 138: 1-3). 9. Prayer can comfort & reassure you (Matt 6:8). 1 10. Prayer can be a source of stability and preservation (Ps. 121). 1 11. Prayer can heal you physically & emotionally (James 5:14). 1 12. Prayer can impart peace (Philippians 4: 6-7). 1. What do I need to Let Go of today & Allow God to Lead me? 2.Why do I struggle to trust God when I pray? 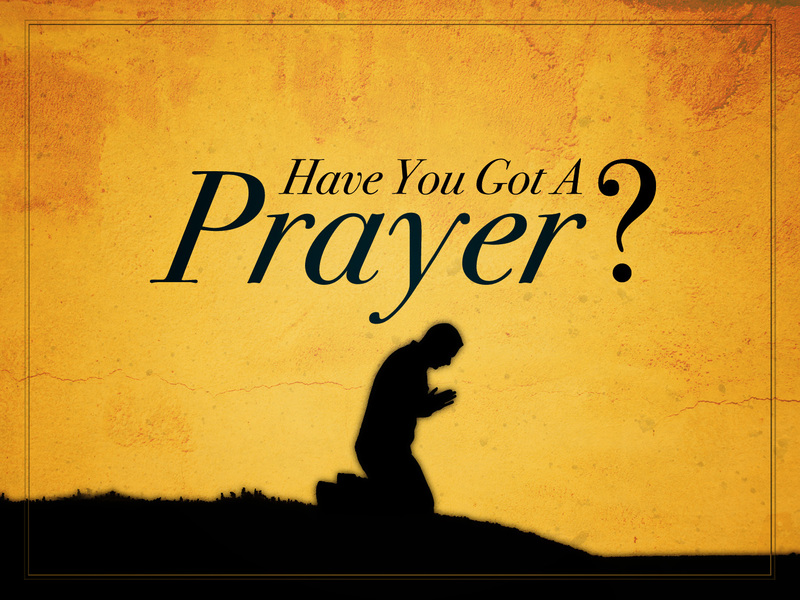 3.What Can prayer do for me as it relates to my situation? Don’t just rehearse the problem, but pray for solutions! Heavenly Father, I come to You in Jesus Christ’s Holy Name, I renew and give my total allegiance to You, Lord Jesus Christ, Father God and Holy Spirit, fresh and a new, today and for the rest of my life, to do Your work, to do Your will and obey You at all times. I give my life, and all that is in it, as a living sacrifice, unto You which ismy reasonable service, that first and foremost, all that I am would be a glory, honor, and praise unto You, Heavenly Father, Son, and Holy Spirit, in Jesus Christ’s Holy Name. I commit my life and all that is in it, to You, to do Your Good Works, and to have and be in Your Total Desire, Will, and Presence, that I will, I am, and I will be transformed into Your total likeness in Jesus Christ’s Holy Name. Come Lord Jesus Christ take Your rightful place in, through, and about my life. I give my life to You Lord, for eternity and I ask You Lord, to bind all that I am to all that You are, in Jesus Christ’s Holy Name. Amen. P-90X “Prayer for 90-Days!” Day #2 What is Prayer? Oct 2, 2013 // by Tina McCrea // Blog // Comments Off on P-90X “Prayer for 90-Days!” Day #2 What is Prayer? An Avenue is defined as a wide street or main thoroughfare. It is a means of access or attainment. It is a way or means of entering into or approaching a place. It is a wide path and driveway that leads somewhere. Prayer is a wide street or main thoroughfare that leads us to God and to the center of His will. 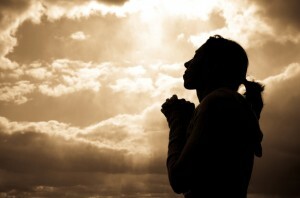 Prayer is our means of access and attainment to the spiritual things that will transform our lives. 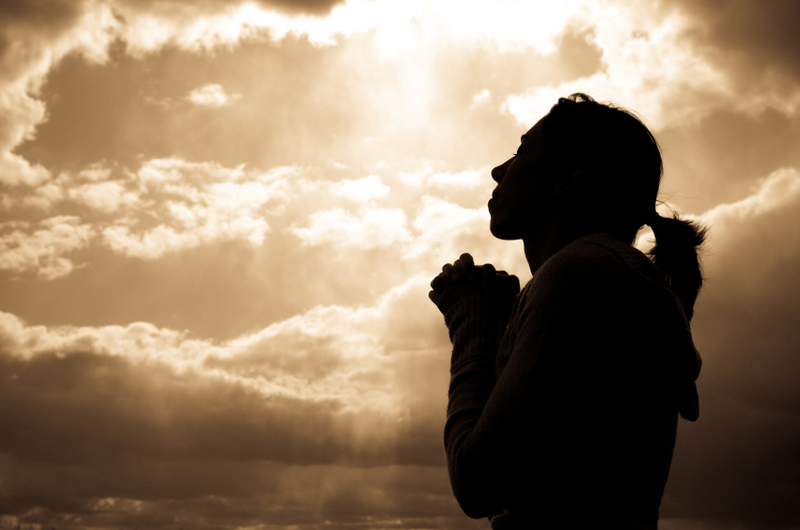 Prayer is a way or means of entering into or approaching the holy place of God. Prayer is our wide pathway and driveway that leads us somewhere that we have never been before in God. Let me encourage you to cultivate the daily habit of praying at least fifteen minutes in the presence of God to communion with Him. Each of us is called to a specific aspect of ministry, but we all are called to the Ministry of Prayer. Prayer is the Ministry of Every Believer. “That men (women) always ought to pray and not lose heart” (Luke 18:1). Prayer is the answer for everything. When you pray, you are first humbling yourself before God and petitioning Him for help. When you pray, you are calling on a God that cannot and will not fail. Many times, I find that we stay in the same position of being entangled in yokes and bondages because we don’t fervently pray to God. Jesus, although He was God incarnate, constantly and consistently prayed throughout the course of His life here on earth. If Jesus needed to pray, then my God! What more do we need to do! “Verily I say unto you, Whatsoever ye shall bind on earth shall be bound in heaven: and whatsoever ye shall loose on earth shall be loosed in heaven. 19Again I say unto you, That if two of you shall agree on earth as touching any thing that they shall ask, it shall be done for them of my Father which is in heaven. 20For where two or three are gathered together in my name, there am I in the midst of them” (Matthew 18:18-20). During your time of intimacy and prayer, get ready to “loose” some things (bad and unwanted) and let them go. Also get ready to bind (keep) those things that are of God. When you loose something, you let it go. You do not want to loose healing, wealth, stability, joy, happiness, and peace from you. You do not want to let these things go in your life, but rather you want to bind the healing spirit of Jesus Christ in all of these areas. During your time of intimacy and prayer, get ready to be loosed from the hold of the devil and turn everything over to God. “WHAT IS PRAYER?” Prayer is our direct line of communication with God. Can You Talk? Then you can pray, because prayer is talking to God. Prayer: it is conversation with the Father! Prayer is spending quality time with God! Prayer is the truth of who you are and who God is to you. Prayer does not allow you to hide from the truth, but exposes what is within the heart so that God can heal, set-free, & deliver you. Prayer is your place not to feel ashamed, bogged down with problems, but it is the ultimate solution for all of life’s situations. Prayer is the place of admitting our need, adopting humility, and claiming dependence upon God. Prayer is A Privilege: Prayer is the privilege of touching the heart of the Father through the Son of God, Jesus our Lord. Prayer is forsaking your will for God’s Will. Prayer makes us realize that we need God and that we cannot do this on our own! Daily Prayer is the Continual Practice of the Glorious Presence of God. 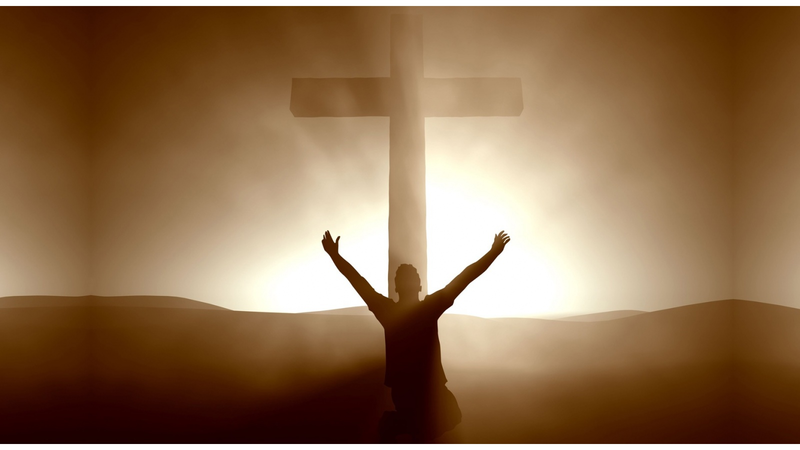 Prayer is the submission of our reverent petitions, supplications, and requests unto God. Prayer legitimizes our needs. The first thing that we must understand about Prayer is that it is all about giving something over to God. Not to your co-worker, your brother/sister, husband/wife, and mother/father, etc… Many times, we are caught up in who is praying for us rather than Who we are praying to. Prayer is a reverence or plea unto God and no one else. Prayer is involvement with God! Prayer is the very source of communication with God. If we are going to see things change in our lives, homes, jobs, communities, churches, and relationships, then we have to pray fervent prayers daily, both individually and corporately (collectively). Prayer is how we connect with our Father in Heaven & we can connect with Him at anytime & anywhere. We need to pray every day because we need God every hour. Prayer is a Powerful weapon to use against the attacks of the enemy. He does not completely understand the authority of Prayer. He doesn’t understand why, when he throws attacks at you and your family that could make you lose your mind, you instead begin to fall on your knees and pray. This confuses the enemy. Power is the effectiveness, strength, influence, and the ability to possess something. Our prayers as Men (Women) of God should be ones that have influence, that are effective, that bring forth strength, and that have the ability to possess something through the Power of the Holy Spirit! The power is not in the person, but rather the Prayer itself. We don’t have the Power on our own, but it is through the Lord’s graciousness that we possess the Power through the Holy Spirit. Tell yourself, “I am a Holy Ghost-filled Man (Woman) with Powerful Prayers that touch Heaven and change Earth.” Powerful prayers carry the weight of the anointing in order to change situations. Powerful prayers change things because the person praying them is surrendering to God. The Lord has the power to manifest through you and touch and change everything you are praying about. Prayer is primarily an act of surrendering to God by telling Him you cannot change this situation and, thereby, you are praying to Him to change it. You are the vessel of prayer and God is the Power of the Prayer. Powerful Prayers have the ability to “Call and speak those things which be not as though they were” (Romans 4:17). This is the anointing of powerful prayers; you can speak something that is not in existence and it will have to come to fruition because of your powerful prayers. Today, during your prayer time begin to call some things forth in your life that are not there currently. There is power down on the inside of you that God wants you to access. The gift of powerful prayers lies in your womb, and God is calling for it to come forth as living water. “He that believeth on me, as the scripture hath said, out of his belly shall flow rivers of living water” (John 7:38-KJV). Praying to our Heavenly Father, in the Name of Jesus Christ, using God’s Holy Word (scripture) in prayer is the most powerful thing we can do for others and ourselves. The Heart of Prayer is the Will of our Heavenly Father. Part of that Will is simply coming to Him. He desires us as His dear children to know Him. He desires your love, your attention, and your fellowship. He also desires a time of communion, an intimate time of personal exchange and involvement, and finally a release of His Will and manifested Presence in the earth through prayer. If you find it hard to Pray, then you have to Identify your Prayer-Life Distractions!